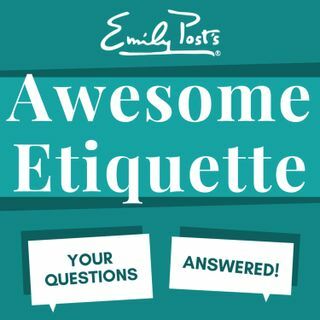 We take your questions on online photo faux pas, addressing letters to beneficiaries, email signature etiquette, and politely deferring tender topics. Plus your feedback, etiquette salute and a postscript segment on Consideration Respect and Honesty through the eyes of Kindness Gentleness and Safety. For sustaining members your question of the week is about the proper thank you gift for a work trip.